Hemp oil is extracted from hemp seeds that are found in the hemp plant. Hemp serves as a source for both marijuana and hemp oil, which is why people confuse hemp oil with the properties of marijuana. Because of this association that has been made for decades, people chose to stay away from any hemp oil despite claims that it has many therapeutic properties. However, research has spread a strong word that hemp oil has no psychoactive properties and instead, THC, the active compound in marijuana, is the sole compound responsible. Many countries and most states in the US have made hemp oil legal. This is because hemp oil contains this wonder compound CBD that makes hemp oil therapeutic in nature. If you buy hemp oil that contains less than 0.3 percent of THC in a state/country where it’s already legalized, you can reap so many health benefits from using it. Now, let’s talk about how hemp oil helps in managing inflammation through its main compound CBD inflammation. 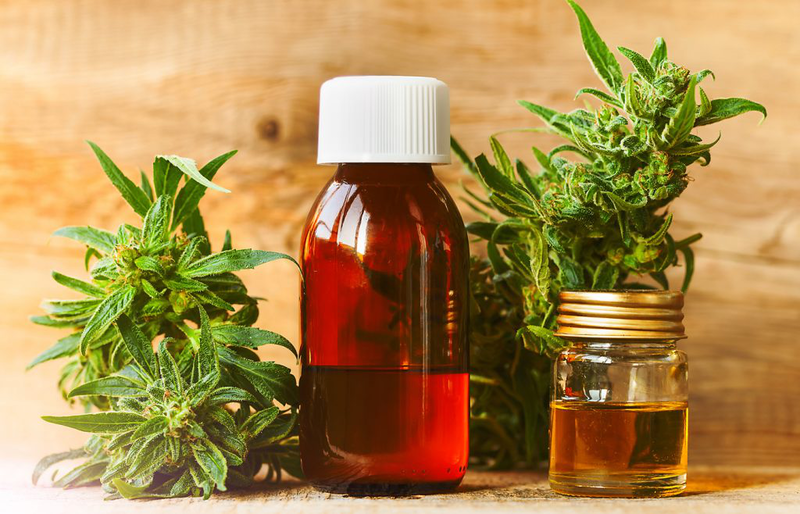 Ever since hemp oil and CBD products derived from hemp have been clearly distinguished from marijuana, cannabis, and THC, people have started considering hemp oil for inflammation all around the world in the past few years. Hemp oil helps in reducing inflammation without having any harmful side-effects. Inflammation is caused when the tissues in our body get reddened and swollen. This happens as a response to an injury or infection. Various health conditions are characterized by inflammation, which in turn, also causes pain or makes it worse. For instance, arthritis is a condition that people encounter generally as they age. This is characterized by chronic pain in the joints when bones rub against each other as a result of the wearing out of cartilage. Inflammation is the body’s natural response and is needed for the natural healing of an injury or infection. However, in conditions like arthritis and multiple sclerosis, inflammation persists and becomes menacing. This is when hemp oil can help in bringing down inflammation and providing relief. People have been using a number of standard drugs for years, making it a more conventional choice. While these medicines help in reducing inflammation and pain as a result, they are capable of causing a number of side-effects, like dizziness, nausea, rashes, insomnia, headache, etc., which are obviously undesirable. Furthermore, these medicines can’t be used by every person. If you’re pregnant, breastfeeding, or have a certain condition for which you’re taking prescribed drugs, these medicines may interact with the situation you take. So, it gets really tricky to figure out what medicine you should use to deal with inflammation. This is when using hemp oil can be a great alternative for you. Hemp oil contains natural agents, mainly CBD that helps in managing CBD inflammation. Hemp oil is pretty easy to administer. All you have to do is add it to your meals and wait for a while for it to show its effects. If you don’t want to use hemp oil, you can even look for other CBD products, like CBD capsules, CBD gummies, or edibles with that contain CBD instead. CBD products come in a variety which makes it easy for people to choose whatever suits them the best. If you hate capsules, you can buy CBD gummies, which taste like regular gummies but deliver all the benefits of CBD inflammation. Moreover, hemp oil or other CBD products are safe for pregnant women, breastfeeding mothers, heart patients, asthmatics, etc. Just make sure that as you buy hemp oil or a CBD product, it reads that it’s safe for pregnant women. When you buy hemp oil or a CBD product, it would be good to check if it clearly states that the product helps manage inflammation and is backed by lab tests for the same. Doing this is imperative because the hemp industry is relatively new and is still growing. This gives manufacturers much room to sell adulterated CBD and hemp products without even being noticed. When you buy adulterated products, you pay money and get nothing in return. So it makes sense to do your research to ensure you’re buying hemp oil from a trusted manufacturer and brand to avoid the chances of being fooled. Secondly, it’s important to check if the product helps manage inflammation specifically because CBD has many other health benefits. If a brand claims to provide all-round benefits, you have to know it could be an empty promise.